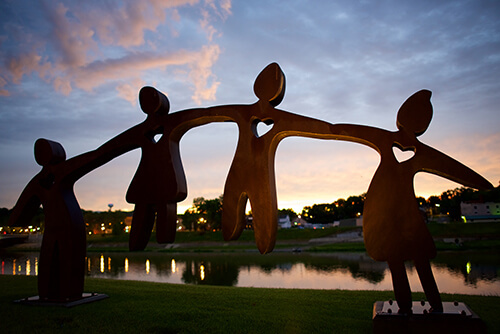 Grab a traveling donut companion and head out on a sweet new trail in Butler County, Ohio. Follow the trail markers to find delicious donut shops. Prep for your trail travels by downloading a map and passport. Once you've conquered all the donut shop stops with your passport you'll be rewarded! Where can I get my Donut Trail passport? The Donut Trail passport can be downloaded, picked up from the Butler County Visitors Bureau, or collected in any donut shop! Butler County Donut Trail Official Passport. What is the best Donut Trail route? The sweetest route for you will depend on several things. Your best Donut Trail route will be determined by the day(s) you plan to travel, where you're staying/starting, and what other great Butler County attractions and businesses you plan to visit along your journey. 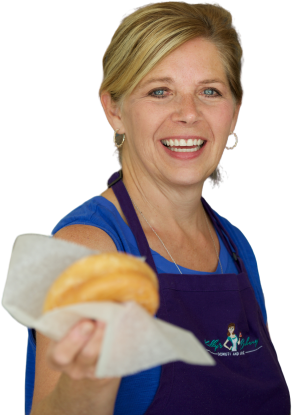 If you need any help planning your Donut Trail adventure feel free to give the Butler County Visitors Bureau a call at 513-860-4194. What are the donut shop hours? Each donut shop on the Donut Trail has varying days of operation and hours. Please be sure to check the shop’s website or Facebook page for current days and hours of operation while planning your trip. Please be aware that some donut shops are closed on Sundays and Mondays, and some shops will close for the day once they sell out, even if it’s before their scheduled closing time. Feel free to call ahead and ensure a shop is open as you travel. What if I am missing one passport code because a shop was closed? Passports must be fully completed to be eligible for the T-shirt prize (Oxford Doughnut Shoppe is optional). Each donut shop has varying hours and open days. Please verify the hours of each shop before starting the Donut Trail. Some donut shops will close when they sell out. Some shops on the trail have been known to sell out/close by 10AM. 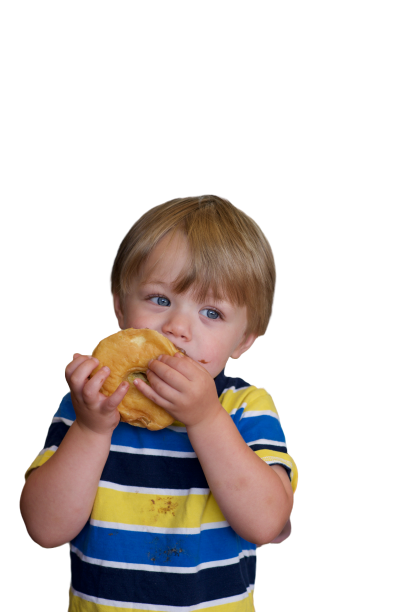 Please plan an early start to devour and enjoy the delicious Donut Trail. Feel free to call to call ahead to verify a shop is open. Why do some donut shops sell out so early? Creating and crafting donuts is complex and takes some time. A typical batch of yeast glazed donuts can take 4-5 hours to make. The donut shops are working hard to keep up with the demand of the trail, and appreciate your understanding. Feel free to call to call ahead to verify a shop is open. Is the Donut Trail a one day event? No, the Donut Trail is open for travel, and can be completed at your own pace! Keep in mind the trail is self-guided, and you can start and finish wherever you'd like! Be sure to check the hours and days of operation for each participating donut shop. So You’ve Completed the Trail, Now What? Visit the BCVB or mail your passport in for your reward! Only those who complete this conquest will receive the exclusive Butler County Donut Trail T-shirt. Not only will you have a sweet new T-shirt, you'll unlock Donut Trail discounts. Make sure to wear your Donut Trail T-shirt and take advantage of these deals and promotions! Grab a traveling donut companion and head out on a sweet new trail in Butler County, Ohio.